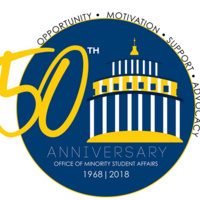 The Office of Minority Student Affairs (OMSA) is the official academic home of all historically underrepresented minority students (Black/African American, Hispanic/Latinx, American Indian, and Native Hawaiian/Pacific Islander). Dedicated to the betterment of the minority student experience at Rochester through advocacy, holistic advising, education, and collaboration with campus units. The department also connects minority students to various resources, on and off campus. We provide our students with the social capital needed to ensure academic, professional, and personal success.